The following is a review for Colosan. 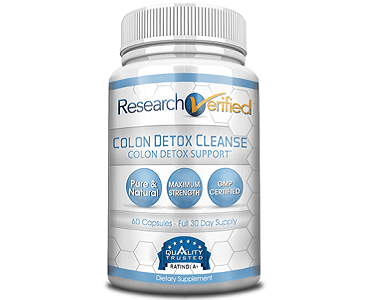 This product claims that it is a concentrated colon cleanse that will maintain your colons hygiene. It also claims that it is aimed at cleansing the system – specifically the colon – claiming to detoxify the system and therefore helping it to function better. Magnesium is greatly beneficial for brain function, bone, and muscle strength development. Cellulose works as a laxative for the bowels helping to create smoother bowel functions. Vegetable stearate is a fatty acid that may assist to break down the carbohydrates in your system an allowing the compaction to dissolve. How Do You Use Colosan? 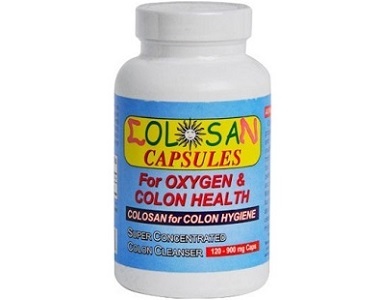 There are two varieties of Colosan available. The manufacturer recommends that you take a dosage of 4 – 6 capsules orally 3 times a day, completing the cleanse over 7 days. Alternatively, the Colosan powder can be dissolved in water and taken orally 3 times a day with the option of adding lemon juice or apple cider vinegar to improve the taste and after the initial cleanse it is recommended to reduce intake to once a day for maintenance purposes. Colosan is available for online purchase through many retailers and prices around $30.00 for a 200 g jar which is labeled as a 6 month supply. 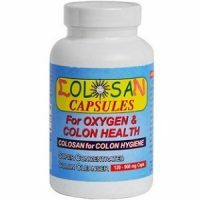 Colosan capsules also retail for about $30.00 online, containing 120 capsules. Some retailers seem to offer bulk discounts and many non-official websites offer the product at a lower price. The manufacturer does not offer a money back guarantee which is extremely disappointing and also raises questions regarding the general quality standards of this product as well as the effective results that it may offer as they have failed to provide security for customers with a risk free purchase. This product does use some good ingredients which could be beneficial, and it also seems to have some good customer reviews however, it does have side effects such as headaches, nausea, sluggishness and abdominal cramping which could suggest that this product may not be suitable for just anyone. The manufacturer does not offer any kind of money back guarantee which is extremely unfortunate and creates much doubt regarding the quality and effectiveness that this product may offer and basically in general, Colosan Capsules & Powder does not seem to have any significantly superior qualities when in comparison to most other similar products and therefore, we recommend that you should rather consider your other options when looking for a suitable product to help maintain the health of your colon.